Does your neighborhood have a bicycle parade? Has your marina asked you to decorate your yacht for the annual Christmas cruise? Look no more. 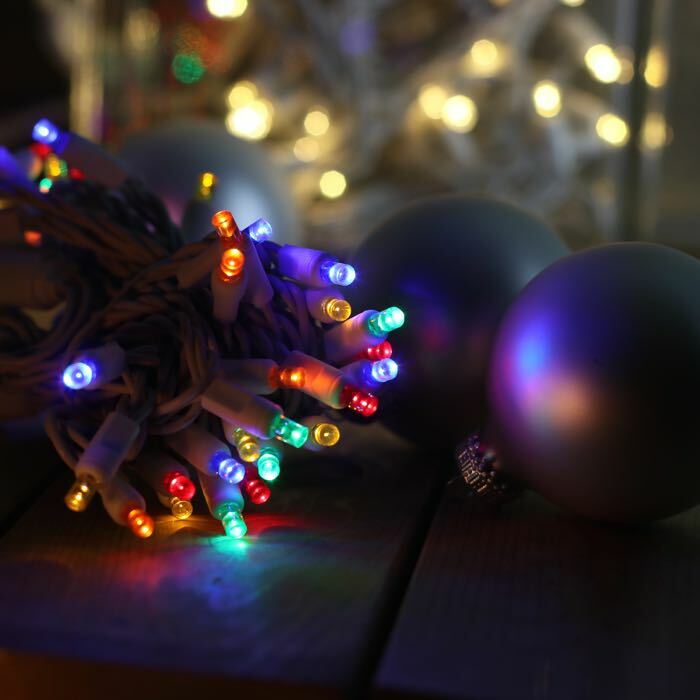 Vehicles, RV's and more can be easily lit up for the Holidays with our 12-volt LED Christmas light strings! All you need is access to a 12 volt DC battery via an accessories outlet or female socket. Added these to our solar powered dock lighting at the lake. Added a timer from Timer Shop (also available via Amazon) so they come on at dusk and turn off four hours later to conserve the battery for the required dock illumination. These draw so little it may not make a difference but need to meet code lighting. (The timer could also be programmed for flashing if you are so inclined. 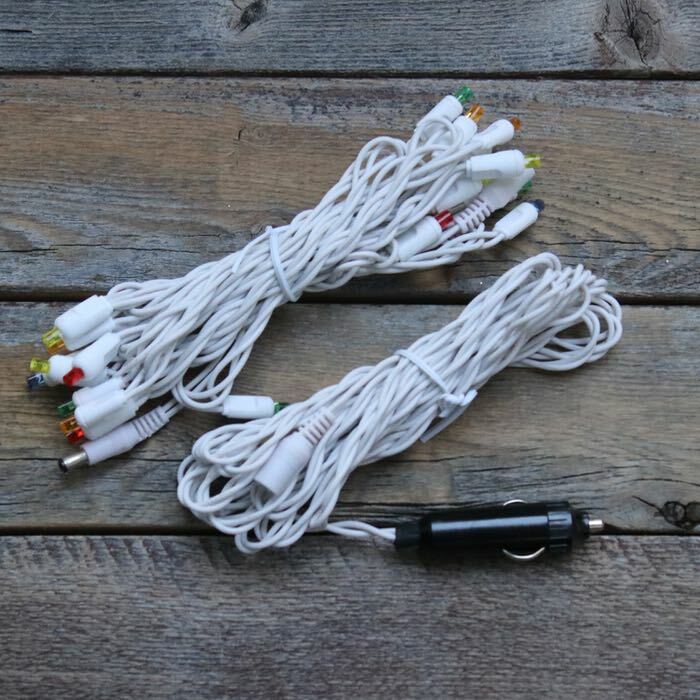 The lights are good quality, good quality wire, and are easy to work with. They are a bit expensive given the short length; maybe next year I'll pick up another four strings for another section of railing. Yes, I recommend these. I ordered these for our golf cart and they arrived super fast! Set up was a breeze and they work great! Thank you Christmas light source!! Q: Is 'solar power source' OK? A: Most folks attach them to their luggage racks and windows with tape. Do not attach them to the painted surfaces of the car. Does this answer your question? We have also had customers use a small drop of hot glue to attach bulbs to windows -- just make sure it's on the inside of car and no window film will be affected. Test on a small section if you have questions. Q: when will they be in stock again ? A: Our products are restocked once a year in late summer. These sets should be available again somewhere between late July and the first of September. Delivery can be delayed by weather, customs and strikes, etc. Q: When will you get these colored lights back in stock? A: I'm sorry but these lights are out of stock until we receive our products next summer - around July or August of 2015. You might consider the all blue, red, or green sets as an alternative. Q: Are any 12 volt led lights the flashing type or only steady burning??? A: These lights are steady burning - they do not flash or blink. Q: Are these indoor/outdoor rated? Yes, these lights are rated for indoor and outdoor operation. We have updated all of these items with this specification - thanks for the heads up.